I am not sure what it is but I have been on a margarita KICK lately. 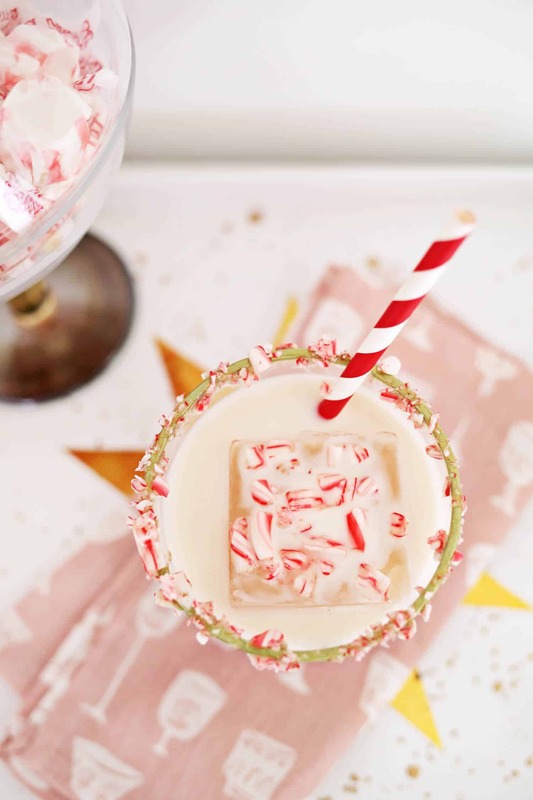 I love that it’s really such a simple cocktail, and pretty similar to my favorite rum-based cocktail, a daiquiri. I also took a note from Rogan and started making my margarita mix with a combo of granulated sugar and sugar in the raw for a slightly different taste/texture. But really, it’s the lime juice. Basically any cocktail or drink that has a lot of fresh lime juice I am sure to love. It’s just so refreshing! 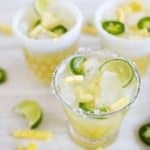 But I particularly love this mix of lime juice, pineapple, and jalapeño because it’s got a lot of flavor, plus a good mix of sweet next to spicy. Yum! 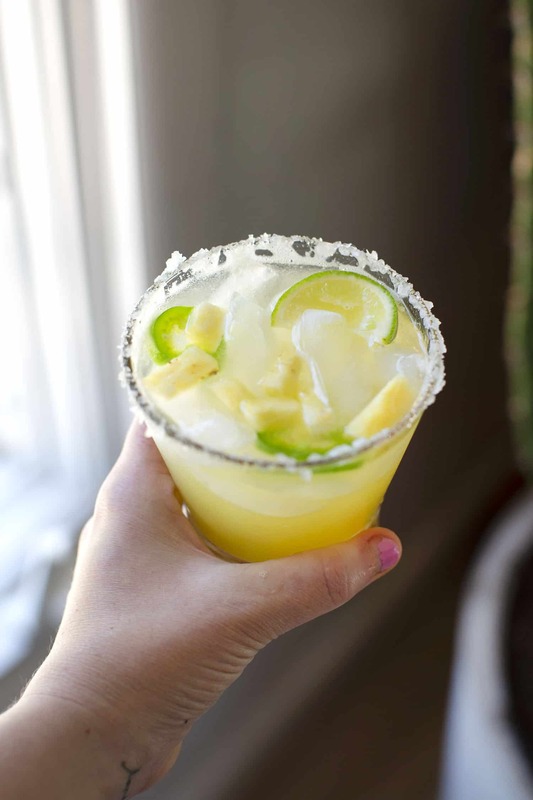 My only “rule” about margaritas is I really prefer homemade margarita mix to any of the store-bought kinds I’ve tried. Some aren’t too bad, but nothing really compares to a fresh made mix. But, of course, this takes a little time. 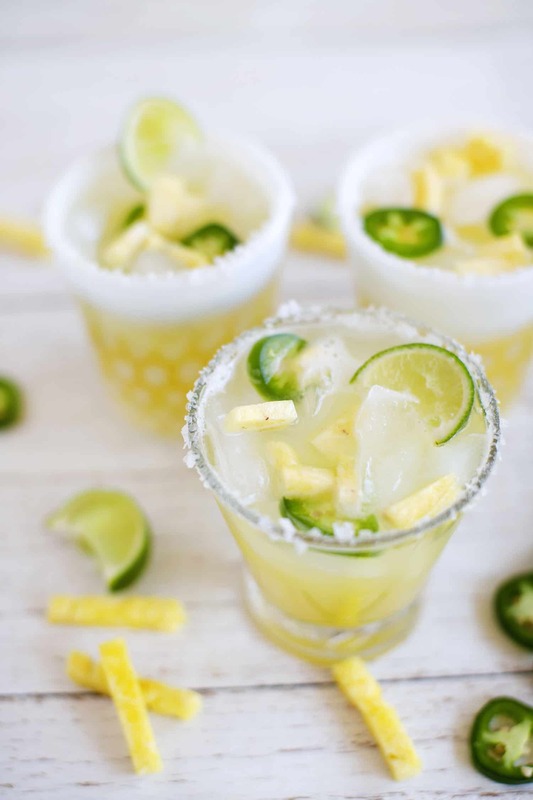 This recipe is great though because it will make enough mix for 4-6 margaritas (this depends on what kind of glass you choose to serve it in, but see my photos of the kind I used). 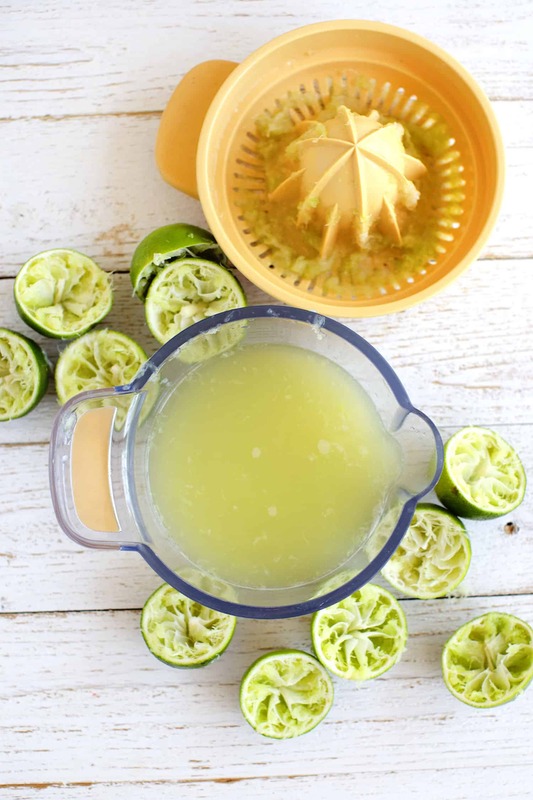 You can use all the mix in one night if you have a few friends over, or you can save it in a sealed glass container in your refrigerator and mix yourself a margarita now and again for weeks. Credits // Author and Photography: Emma Chapman. Photos edited with the ACS for Desktop actions. 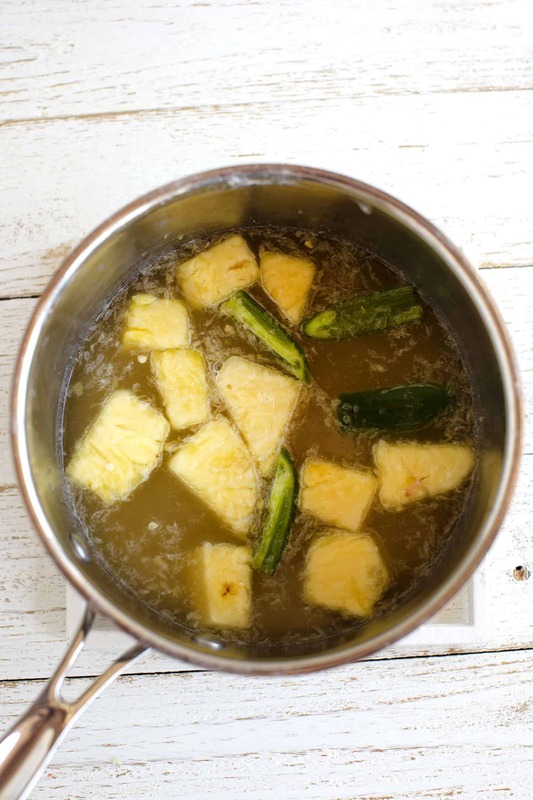 In a small pot, combine all the ingredients and whisk over medium heat until the sugar completely dissolves. Remove the jalapeño pieces and then blend the mixture well. Strain into a large jar. Allow to cool before use. Salt the rim of a small glass. Add ice, 1 shot of tequila, 1/2 shot of triple sec, and then fill with the sweet heat margarita mix (approx. 2 shots). Enjoy! I love margaritas! 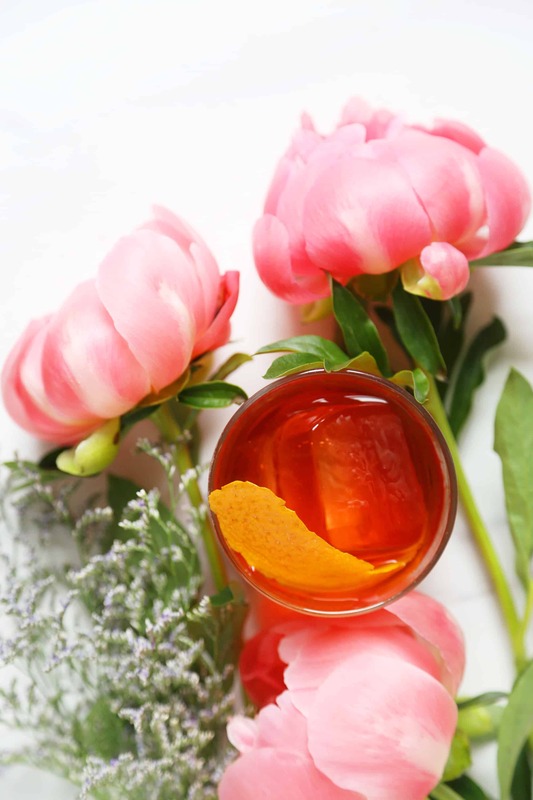 Love the spicy twist on this, it reminds me of a jalapeno bloody mary I once had. Should be interesting tasting how the drink compliments or counteracts the bite of the jalapenos. 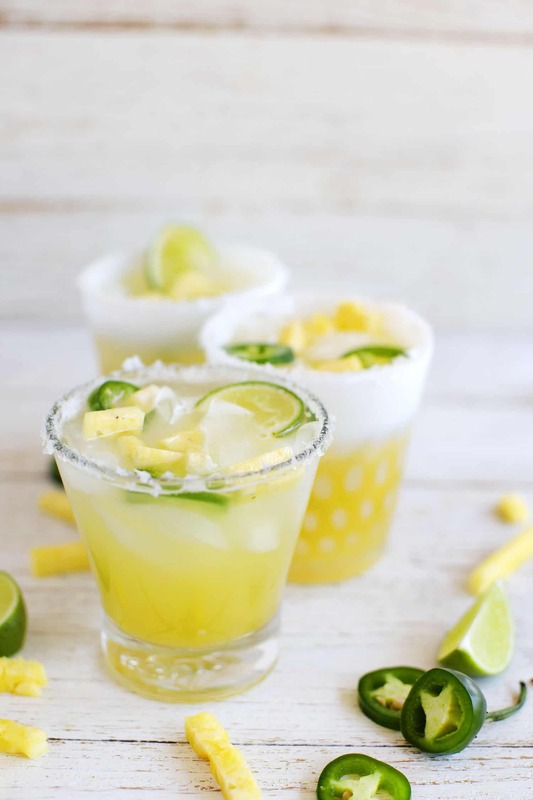 My simple recipe: 1 part agave, 1 part lemon or lime juice and 2 parts tequila = amazing over ice with salted rim. They sound so refreshing and delicious, I have to try them! What lovely pics and recipes. I so need to try this by myself :3 looks so good. This is really nice and sweet with a sneaky bit of heat on the end. 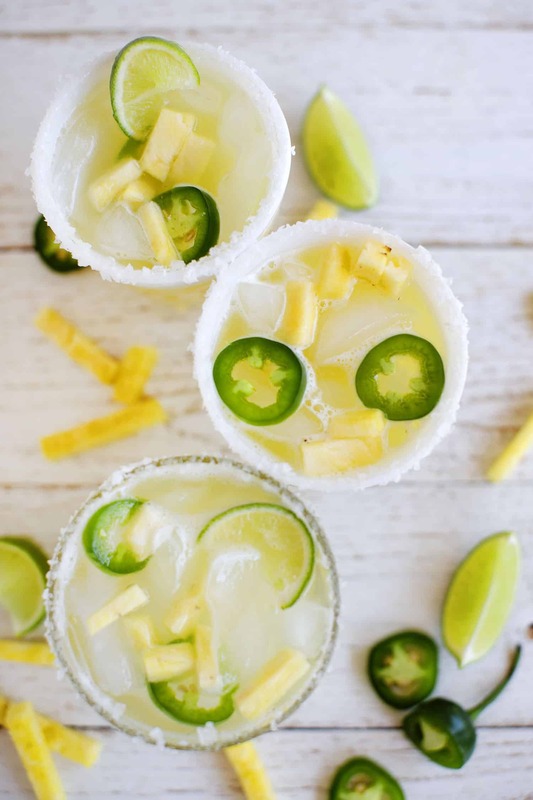 I always use tabasco sauce in my margaritas to make them spicy, but I cant wait to try this for that “sweet heat” with the pineapple! I will be making a pitcher of margs tonight for my ladies!! Brought these to a Cinco de Mayo party and have taken them to every party since, SO GOOD!